Comment: I recently framed in a bedroom basement and am nearing completion. I will be installing a drywall ceiling right to the floor joists. My concern is there are other bedrooms and a living room above this space and thereâs a great deal of traffic. Ultimately trying to make the basement room feel as much like a bedroom as possible. Comment: Need Insulation above one office ceiling. Comment: Existing construction, single family home, cape cod style ~1000sqft, early 50's construction. Would like to know options for insulation blown into exterior walls from the outside of home. I will have siding removed at time of install. Rough project date of 10/5-10/8 timeframe. Thank You! W. 227 N. 6330 Sussex Rd. City Wide Insulation of Madison, Inc.
Butler Insulation Contractors are rated 4.74 out of 5 based on 229 reviews of 10 pros. 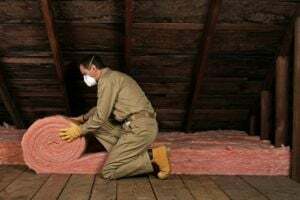 Not Looking for Insulation Contractors in Butler, WI?